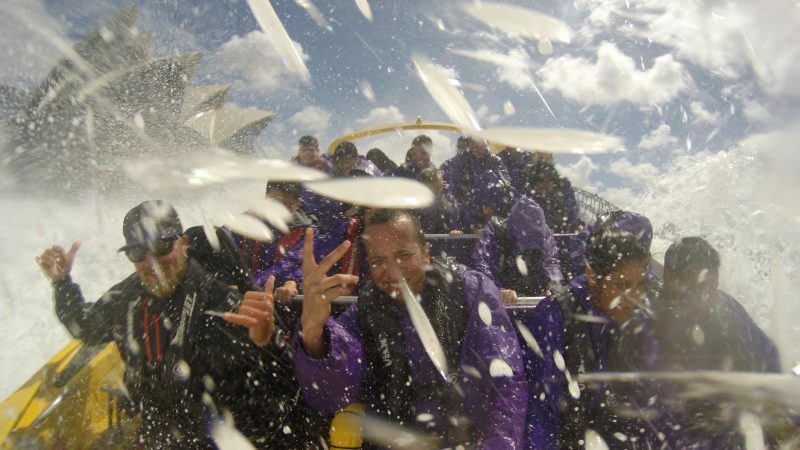 Experience what jet boating is all about on Australia’s most exciting jet boat ride! Get ready for slides, spins, sweeping fishtails and power brake stops. Unlike any other jet boat ride in the world, Thunder Jet Boat has over 800 horsepower on twin-turbo monsters! 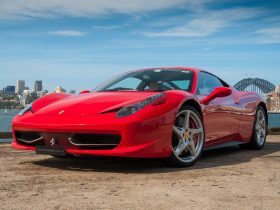 Choose between the 30 minute Thunder Thrill ride or 45 minute Extreme Adrenaline Rush going out to the extremes of Sydney Heads where you encounter the ocean swells at full throttle. Rock to an Aussie music soundtrack on all rides. Experience what jet boating is all about. The 45 minute Extreme Adrenaline Rush allows you to experience all the thrills and spills of The Thunder Twist but with so much more. 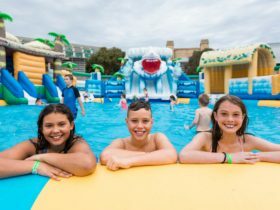 This wet and wild experience will take you to the extremes of Sydney Heads, where you encounter the ocean swells at full throttle! 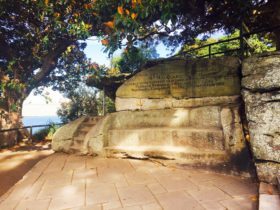 This ride is not for the faint hearted! 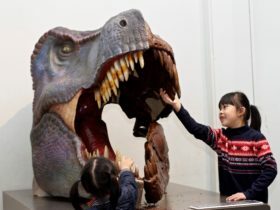 Children are 5- to 15 years old and must be a minimum of 120 centimetres tall. 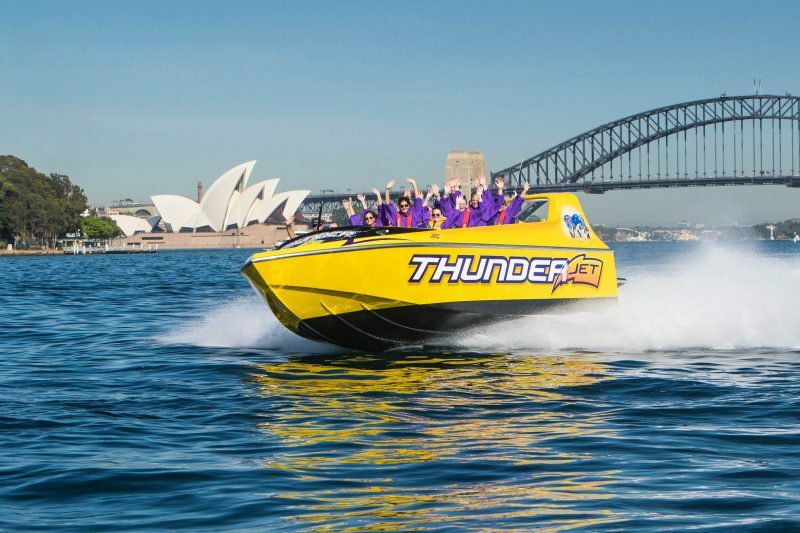 The 30 minute Thunder Thrill adventure allows you to experience what jet boating is all about. You will need to hold on tight as the Thunder opens up! Thunder Jet will take you past the Opera House, Harbour Islands, and exclusive suburbs of Rose Bay, Watson’s Bay. 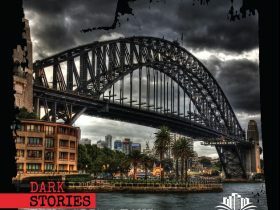 On return you will ride past Taronga Zoo, under the Harbour Bridge and by Luna Park Sydney. 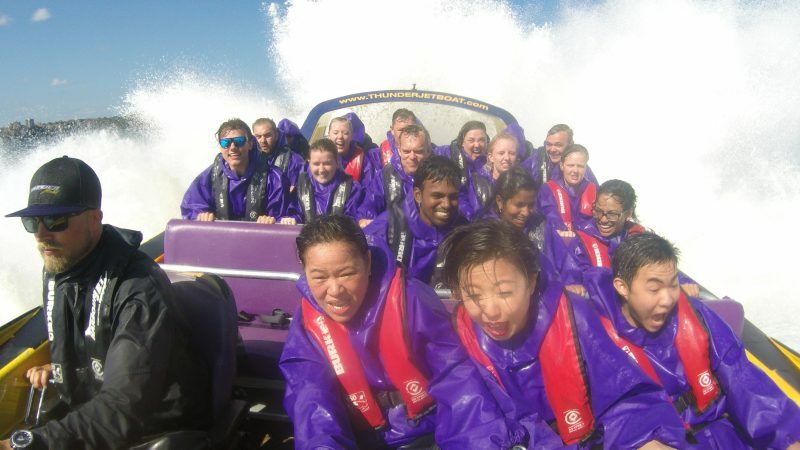 You will experience jet boat slides, twists, sweeping fishtails and wild wave riding! Children are 5 to 15 years and must be a minimum of 120 centimetres tall.